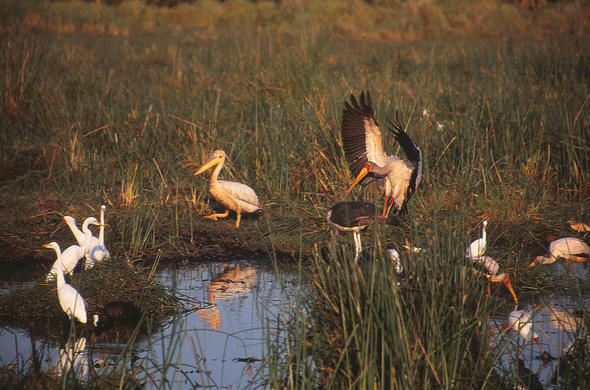 The course of events in each area of the Okavango Delta changes from year to year but somewhere in the vast oasis the events will be replicated each season. 'The days are getting hotter as the summer approaches, and you begin to notice the water levels dropping. It is almost as though it happens overnight, but in the coming days the floodplains shrivel quickly, and then one day the only trace of the past few months are the shrinking pools and the thousands of birds that move in to feed on the trapped fish and crustaceans'. 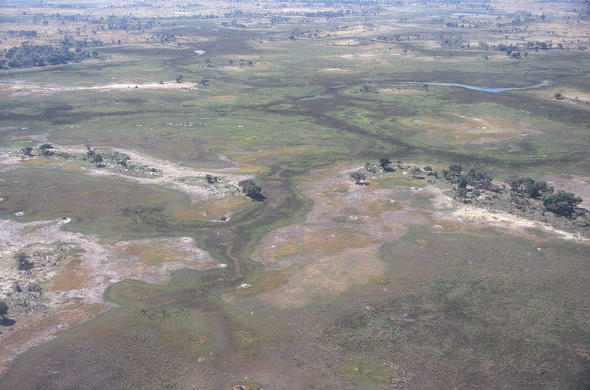 Some areas that dry up entirely one year will stay flooded the next and areas that have stayed flooded into the rainy season for many years may suddenly dry up with the heat of summer. This phenomenon is due to many factors included earth shifts and blocked channels controlling the flow of the water. During the peak of the flood waters the floodplains are covered in lush water grasses that are fed on by countless herbivores, whilst the islands are dusty and brown form the advanced dry season. This creates a fascinating contrast of lush greens and dusty browns. As the water begins to dry the floodplains initially green up in new growth before succumbing to the season's colours of grey and brown. 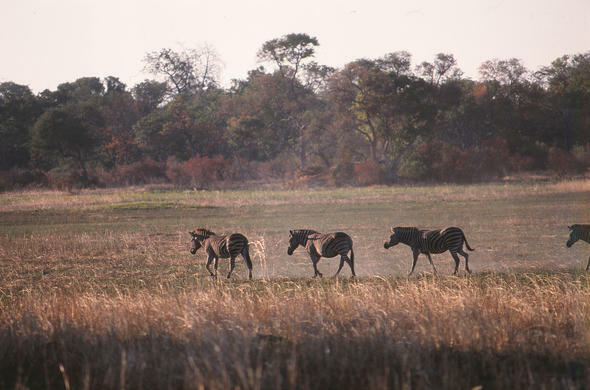 The rate of drying of the water on the floodplains depends on the level and power of the flood during the season past as well as the heat of the time.The drying floodplains leave the earth open for new grasses to appear, but this new growth quickly shrivels in the incessant heat and the herbivores move with the drying water, leaving behind empty plains bathed in an eerie silence. 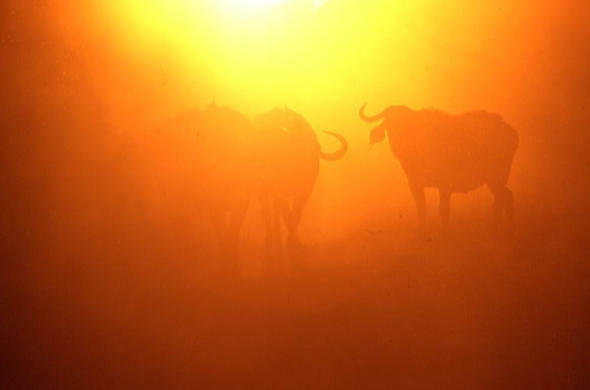 As the dry season advances into the throes of Botswana's hottest month, October, the drying up accelerates. It is a time when the sun rises in heat and all the denizens of the Delta seek succour, but despite this there are signs of change on the horizon as the first thunderheads show themselves. In the beginning they dissipate before they have time to be of any significance - and the drying up continues.